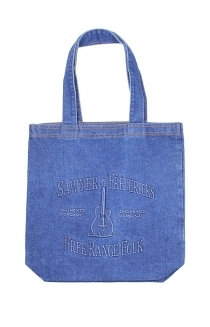 Sawyer's Free Range Folk Design embossed on a 14 ounce 100% Cotton denim tote bag, generously sized at 18 X 15 inches, with sturdy double stitched handles. 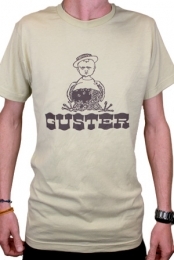 The proprietary method of embossing creates a permanent image that can be machine washed and dried. Classic Denim Blue. Sawyer's Free Range Folk Design was crafted by Kirsten Fredericks.